Former Madison County Chief Judge Ann Callis has announced that she plans to pursue the Democratic nomination for Congress in Illinois’ 13th District. She made the announcement Monday night. Elected in 2006, Callis, 48, stepped down from the post on Friday in order to run for Congress. In a press release, Callis said Washington has failed to tackle the problems impacting middle-class familiies, and pushed for a mediation process that helped those facing foreclosure stay in their homes. "Like many of my friends and neighbors, I'm frustrated right now that Washington is not listening, and it's not delivering for the middle class," she said. "As Chief Judge, I've delivered reforms when Washington didn't, and I'm running to deliver solutions for middle class families who are looking for good-paying jobs, and someone to protect Medicare and Social Security." Also on Friday, Gov. Pat Quinn appointed one of her potential primary opponents, Dr. David Gill, as the new assistant director for the Illinois Department of Public Health. The 4-time candidate for the congressional seat said he would rule out a run in 2014. Callis cited her efforts to set up Illinois’ first veterans’ court, and was inspired by her son, who recently finished officer candidate school in the U-S Army after earning a degree. Another potential Democratic candidate, University of Illinois Physics Professor George Gollin, said Tuesday he was still considering a run, and would decide by mid-summer. 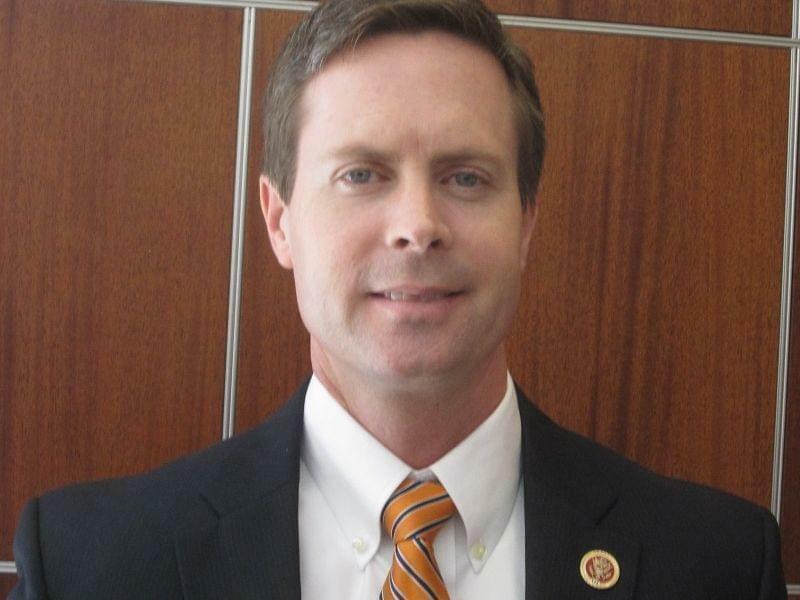 Republican Congressman Rodney Davis narrowly defeated Gill last fall. Davis has not confirmed whether he’ll pursue a second term in Congress, but spokesman Andrew Flach notes the campaign had collected $403,555 in the first quarter this year, also noting the campaign carried no debt. "This is a true 50/50 district, so it's no surprise that the Washington Democrats have been attempting to recruit candidates from the moment Congressman Davis was elected last fall,” said Flach in a statement. "Congressman Davis looks forward to debating the issues with his eventual opponent, whoever that may be, at the appropriate time. In the meantime, he will focus on governing and working with Republicans, Democrats and Independents on ways to move our country forward." In her press release, Callis said, "Despite the lack of a mandate, Congressman Davis supported a partisan budget that would protect tax tax cuts for millionires, end the guarantee of Medicare and raise Medicare costs on Illinois seniors." The National Republican Campaign Committee also commented on its website Tuesday morning on Callis' announcement. Callis refuted the parties' claims, saying a panel she formed made up of doctors, lawyers, and insurers started a mediation program that tries first to settle every medical malpratice case without the stress of a trial. The 13th Congressional District includes Champaign-Urbana, Decatur, Springfield, as well as parts of Bloomington-Normal. Callis says she recently rented property in Edwardsville in order to live in the 13th District. She expects to visit parts of the region over the summer, but didn't have specific plans yet for a campaign tour.